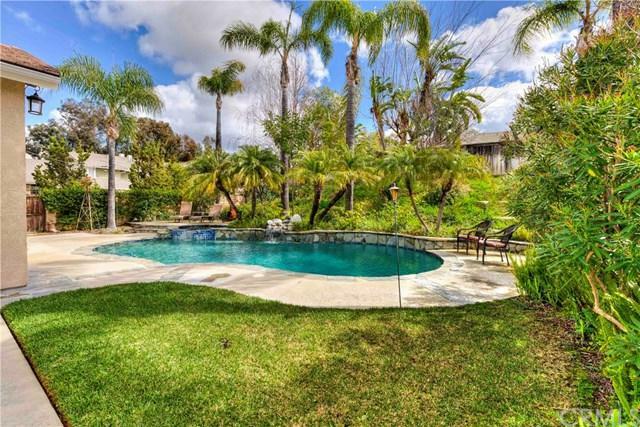 21142 Prairie View Lane, Rancho Santa Margarita, CA 92679 (#300805169) :: Ascent Real Estate, Inc. Enjoy the ease and luxury of single story living. Fabulous open floor plan flows wonderfully as youÃƒÂ¢Ã¢â€šÂ¬Ã¢â€žÂ¢re greeted with chiseled edge Travertine floors leading you to the formal Dining room, kitchen & expansive great room areas with high ceilings and a warm & inviting feeling. 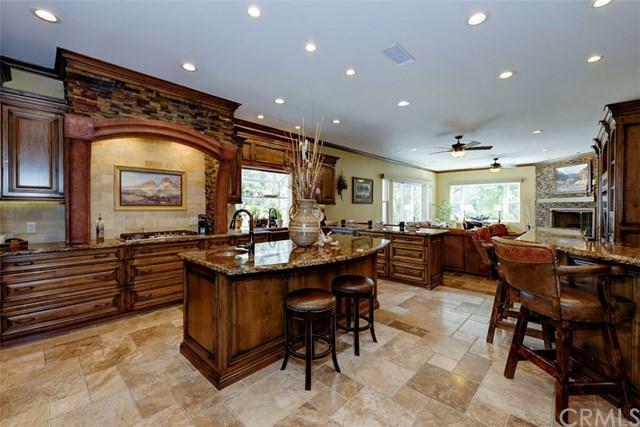 Your DREAM gourmet kitchen & great room have been expanded and completely redesigned with custom soft close cabinets & drawers throughout, antique ÃƒÂ¢Ã¢â€šÂ¬Ã…â€œLiving BronzeÃƒÂ¢Ã¢â€šÂ¬Ã‚Â knobs & pulls, copper farm sink, copper vegetable island sink, Moen Enjoy the ease and luxury of single story living. 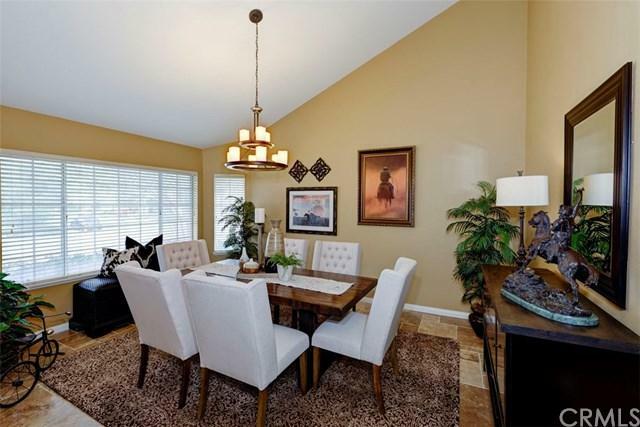 Fabulous open floor plan flows wonderfully as youÃƒÂ¢Ã¢â€šÂ¬Ã¢â€žÂ¢re greeted with chiseled edge Travertine floors leading you to the formal Dining room, kitchen & expansive great room areas with high ceilings and a warm & inviting feeling. Your DREAM gourmet kitchen & great room have been expanded and completely redesigned with custom soft close cabinets & drawers throughout, antique ÃƒÂ¢Ã¢â€šÂ¬Ã…â€œLiving BronzeÃƒÂ¢Ã¢â€šÂ¬Ã‚Â knobs & pulls, copper farm sink, copper vegetable island sink, Moen Motion Sense oil rubbed bronze faucets, cove lighting above and below, customized crown molding, new stainless steel appliances, CafÃƒÆ’Ã‚Â© Stainless Steel gas range has custom limestone backsplash, Aurora Borealis Granite throughout kitchen, large center Island, over-sized breakfast bar & bar w/wine fridge, giving an abundance of cabinets & counter space. Kitchen opens to large family room with custom Ken Griffith Entertainment Center, beautiful large 4ÃƒÂ¢Ã¢â€šÂ¬Ã¢â€žÂ¢ stacked stone fire feature, electronic controlled custom Century Blinds with Vertilux motor, dual glazed Milgard windows, 9ÃƒÂ¢Ã¢â€šÂ¬Ã‹Å“ dual glazed Milgard 3 panel door, wired for 7.2 surround sound system. All bathrooms customized w/new cabinets, Oil Rubbed Bronze Moen Fixtures, seamless shower enclosures & Toto toilets, plus master bath offers custom marble travertine shower with seat & dual head shower control. Backyard is a relaxing oasis wonderfully landscaped with a resort style pool & spa, entertainment area, and offers tons of privacy. Listing provided courtesy of Bullock Russell Re Services. Listing information © 2019 San Diego MLS, Inc.